Let the oven preheat at 200°C. 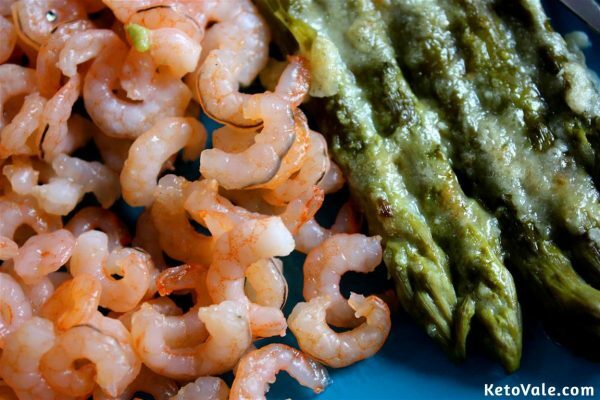 Arrange the asparagus and shrimp in an adapted container. Lay some slices of lemon on top if desired. Leave in the oven for 10 minutes to bake. Check if the shrimp has turned pink and opaque. 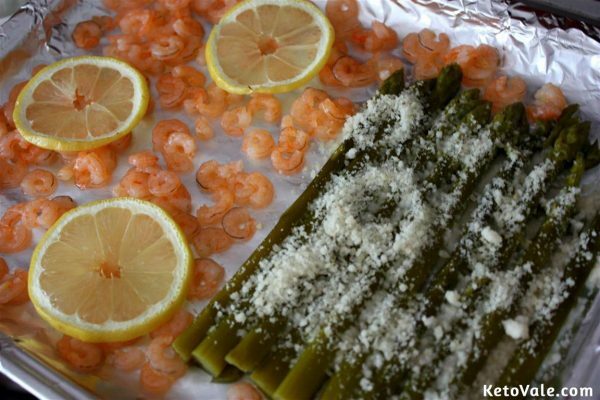 If so, drizzle the melted butter on top of the shrimp and sprinkle the grated parmesan on the asparagus. Rebake for 5 more minutes. Wait till the cheese has melted. 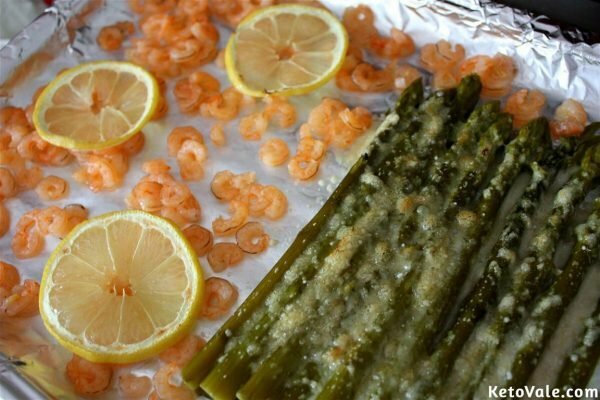 Transfer the shrimp and asparagus on a plate and enjoy. 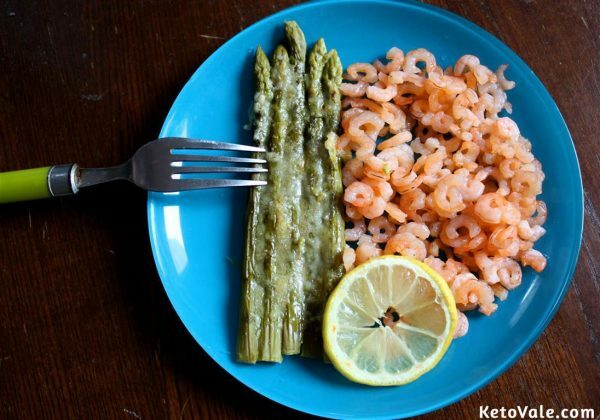 You can use fresh or canned asparagus, depending on the season. Canned asparagus does not need to cook for a long time, so you can add it just before putting the parmesan and the butter. You can substitute the parmesan for another type of hard cheese, i.e. cheddar. Again, you need to let it melt for approx. 5 minutes. If you’d like to lower the amount of fat in the recipe, you can simply put less butter (or skip it entirely).